Man i just love this clip (and the interview afterwards). 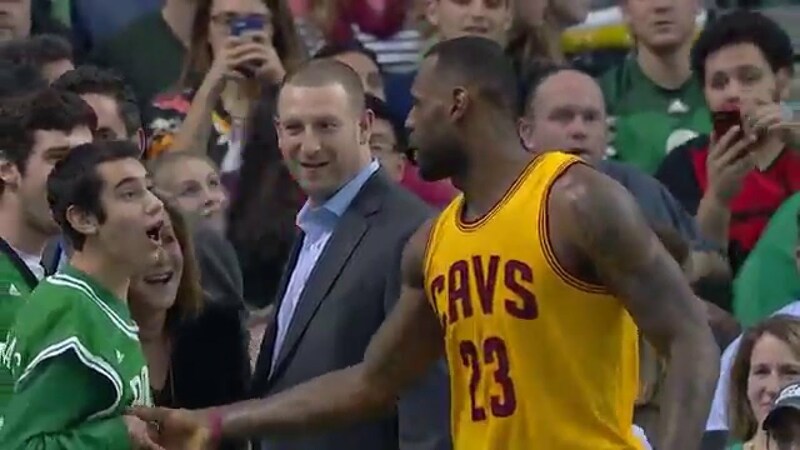 Lebron is probably the *ONLY* athlete i'd ever become a "teenage girl" around. The issue I have with Lebron's play is that he is way too ball dominant. He takes the ball up the most and he likes to hang out at the top of the key. Sure he gets his teammates shots, but not everyone is a spot up shooter. Many people also need to get some touches such as drives, clearouts, etc to feel comfortable and get into a rhythm. There's been times in the past where Kyrie's like "hey i want the ball this possession" I've seen it live.... kyrie is def a better at 1on1 but lebron is better overall.